The United States isn’t a “democracy.” Though every American should have learned this fact in high school civics class, the smart set still like to ridicule people who point it out—such a cliche and all. Today we see why the left has worked to convince Americans that majoritarianism is a profound moral good. And it’s not just that the political class is going through another silly debate about the suddenly inconvenient Electoral College. It’s that Democrats are increasingly comfortable attacking foundational ideas of American governance. 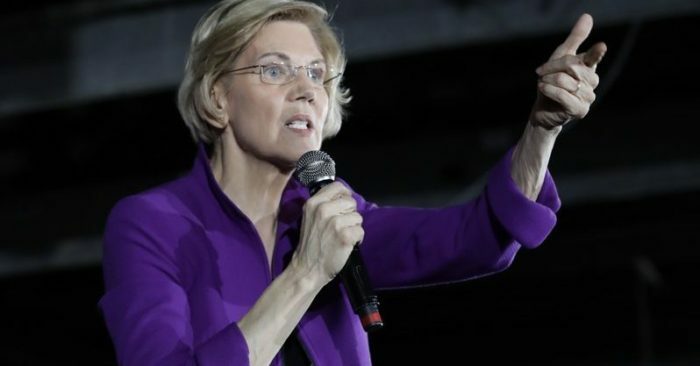 “My view is that every vote matters, and the way we can make that happen is that we can have national voting, and that means get rid of the Electoral College—and every vote counts,” Sen. Elizabeth Warren, D-Mass., said this week. It looks as if most Democratic Party presidential hopefuls are following her lead. It might come as a surprise to many Americans that their losing ballots don’t count in elections, which is why we disperse power in this country—to protect political and geographical minorities. As anyone who’s looked at a history of electoral maps can see, the most closely fought-over states are always changing because the issues Americans care about are always changing. Today much of the divide is among urban, rural, and suburban areas, making the Electoral College even more vital. It’s correct that politicians in statewide races tend to campaign everywhere. It is also true that in the end, it is urban areas that predominately elect Democrats, not rural ones. In direct national elections—with vast spaces to cover and limited time to campaign—candidates would be incentivized to rack up as many votes as they could in accessible urban areas with huge media markets. The Electoral College, imperfect as it is, forces candidates to moderate their views, create coalitions, and appeal to voters is disparate areas. For instance, trying to delegitimize Donald Trump’s 2016 victory by pointing to Hillary Clinton’s “popular vote” victory is one of the most dishonest political arguments going—not merely because the “popular vote” is mythical and irrelevant but also because Trump ran a campaign focused on appealing to the Electoral College. If Republican presidential candidates concentrated their efforts on the huge untapped reserve of GOP voters in big states, the “popular vote” in 2016 would have looked very different. The problem is that we’d always have two candidates vying for voters in New York and California. What’s truly silly is treating proposed constitutional amendments as if they were equally consequential. No, there’s nothing particularly radical about partisans proposing additions that reflect their positions (a balanced budget amendment or an equal rights amendment). None of the ones the GOP has proposed fundamentally challenges one of the core ideas of our governing process. The idea of maintaining proportional voting and states’ rights and decentralized power is not the same as an amendment dealing with bookkeeping.